With your New LinkedIn profile, applications like Slideshare Presentations, WordPress Blog and Events, will no longer be supported. Fortunately, because installing them was not easy, it didn’t alway work and had its limitations. But there is a new way to showcase rich content on your profile; presentations, videos, documents, and more than 100 other media (see full list below). Now you can make your profile much more visually appealing by adding images, prezi presentations, audio and publications! Go to “Edit Profile” and you can click on the pen to edit text. 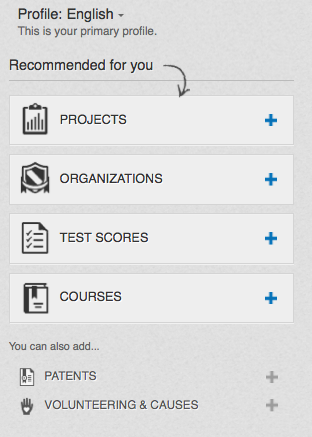 Click the square (with the plus) and you can add documents, presentations, videos, creative resumes and more. If the information somewhere on the www is you can add it to your summary or other sections. Grab your chance to get this remarkably distinct! Use the vertical arrow to move a section anywhere in your profile. For example your Diplomas / Certificates upwards. 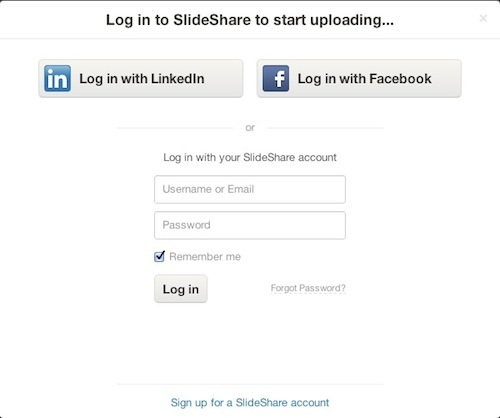 After you log in with your LinkedIn credentials, you can optionally import your LinkedIn Profile information to complete your SlideShare Profile. 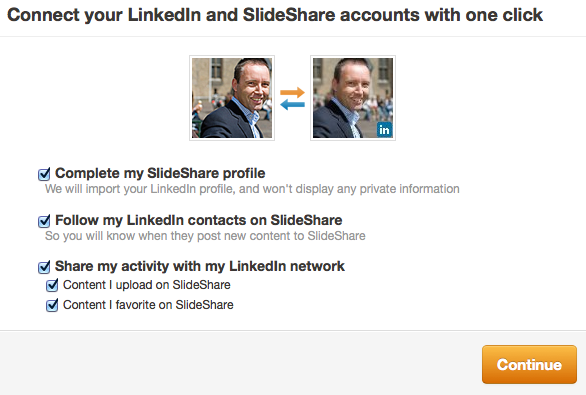 Moreover, you can automatically share new content with your LinkedIn Network. Share your trip plans with your LinkedIn network. You always control which trips are public or private. All you need to do is connect your TripIt and LinkedIn accounts. 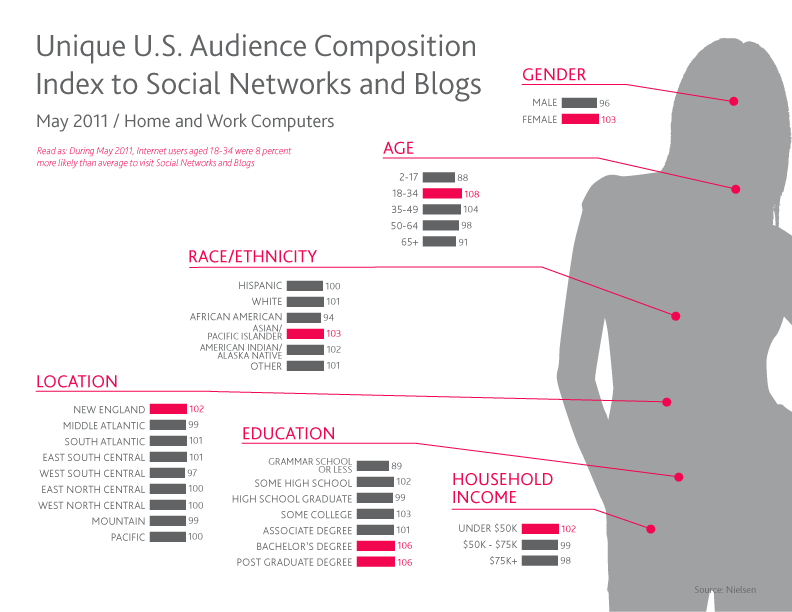 So what kind of media can you manually add to your profile? LinkedIn supports the below types of media for the new profile. Please note these are the official sources and that more providers may work. All media links must have a public URL to be added to your profile. Here’s the full list (December 2012). One more tip, add more sections to your profile that LinkedIn recommends to take full advantage of it. Stand out from the crowd and accomplish “That person I want to speak”. Note: Rich Media is only available if you have the new LinkedIn profile and previously had LinkedIn Applications installed on your LinkedIn account. They are in the process of slowly rolling the new profile out to all of our members. If you had the Slideshare Presentations or Portfolio Display application on your current profile, that content will be migrated to the Summary section of your profile once you have the new profile design.